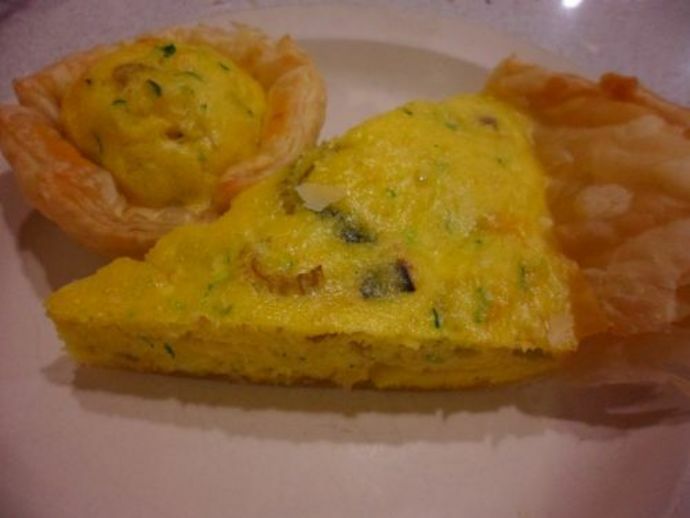 This quick and easy quiche can be made in full size or in mini versions, and can be served hot or cold, for lunch, dinner, or a snack. 2 sheets of puff pastry. Remove sheets of puff pastry and set aside to thaw. 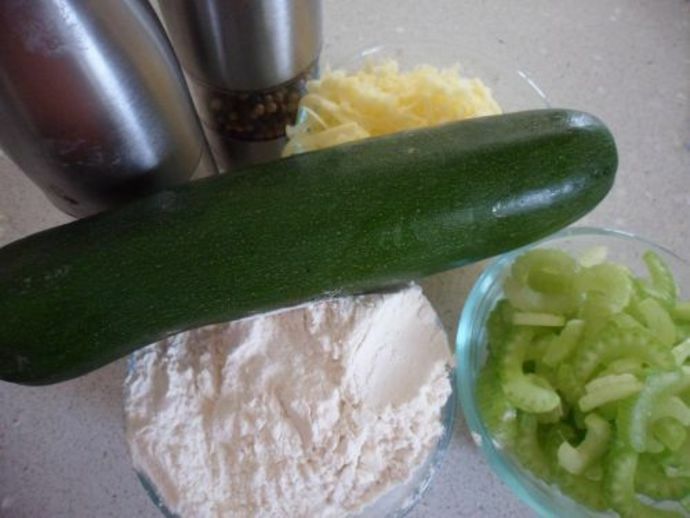 Chop celery and half a zucchini. Roast until soft. While the celery and zucchini are in the oven, beat the eggs. 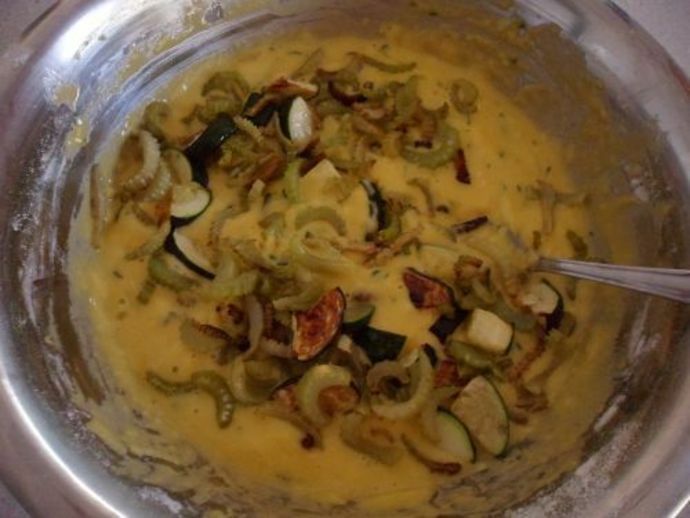 Grate the other half of the zucchini and mix it into the eggs. 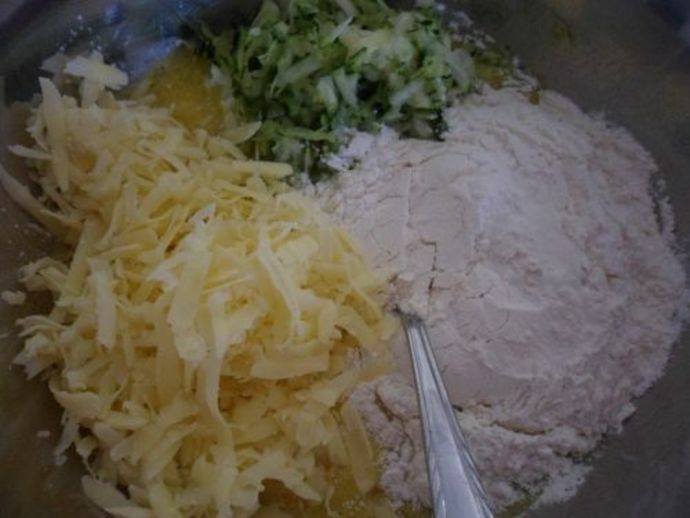 Add flour, oil and cheese and stir until well combined. 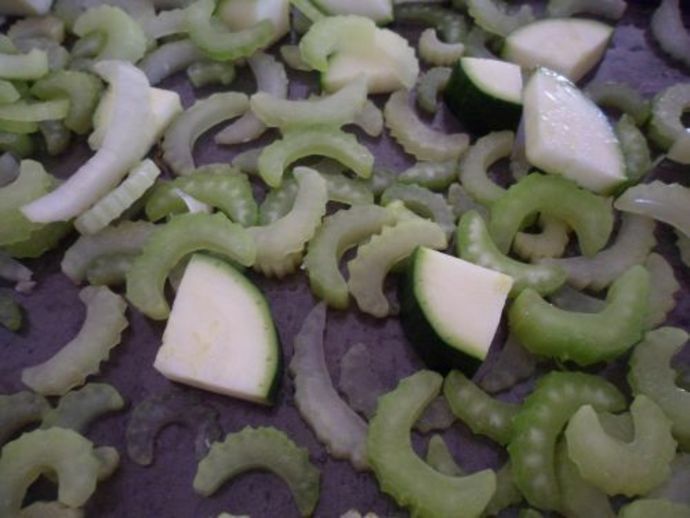 Remove the zucchini and celery from the over. 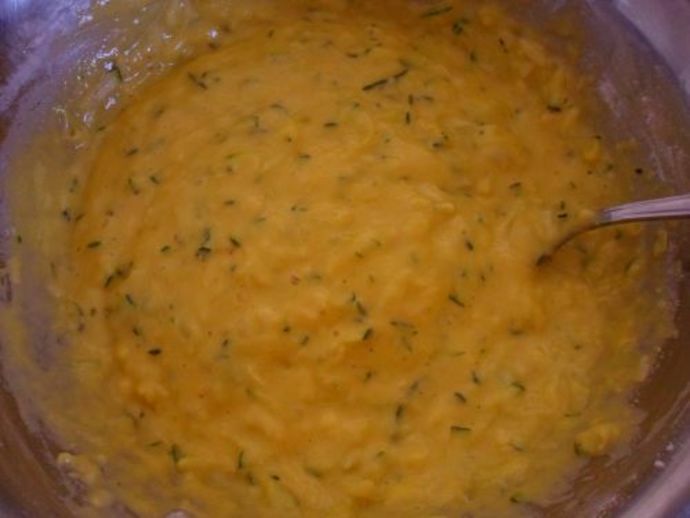 Add these to the egg mix with a sprinkling of salt and pepper and mix well. 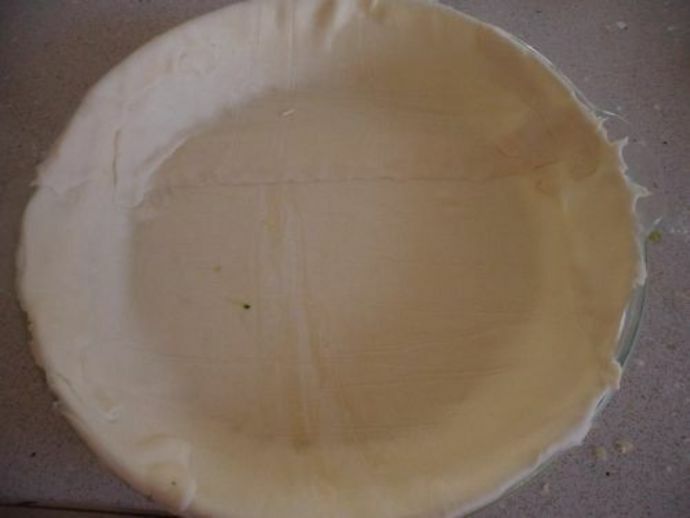 Grease a pie dish and layer with puff pastry. 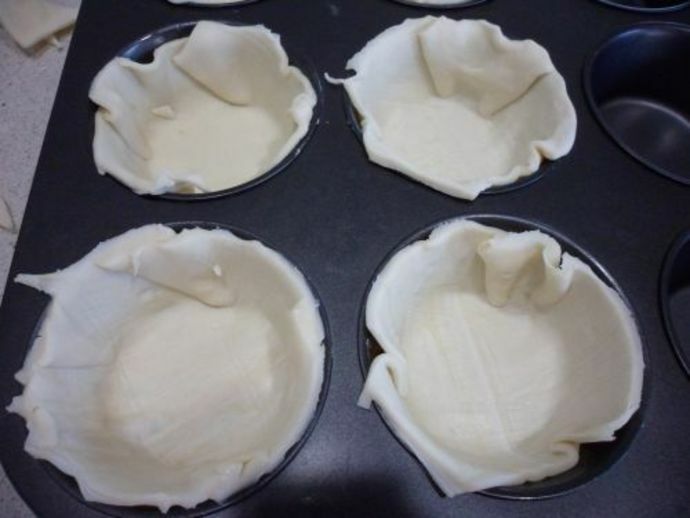 (To make mini quiches, grease and line the patties of a cupcake tray). Prick the pastry with a fork and blind bake until crispy. 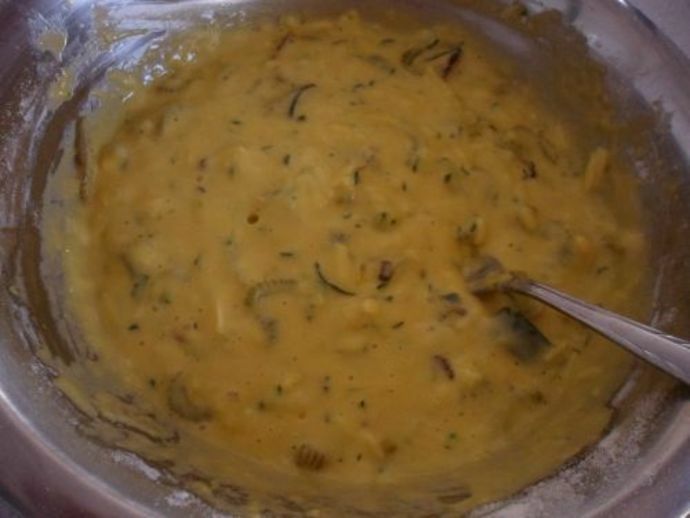 Once pre-baked, remove the pastries from the oven and fill with quiche mix. 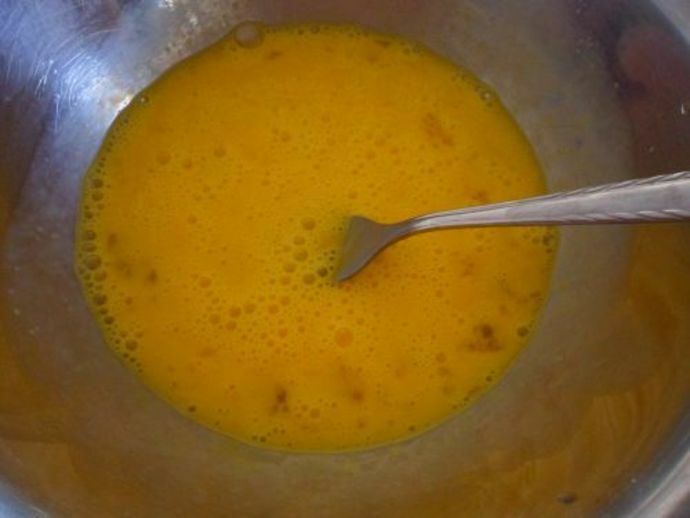 The mix will rise, so fill to about halfway. 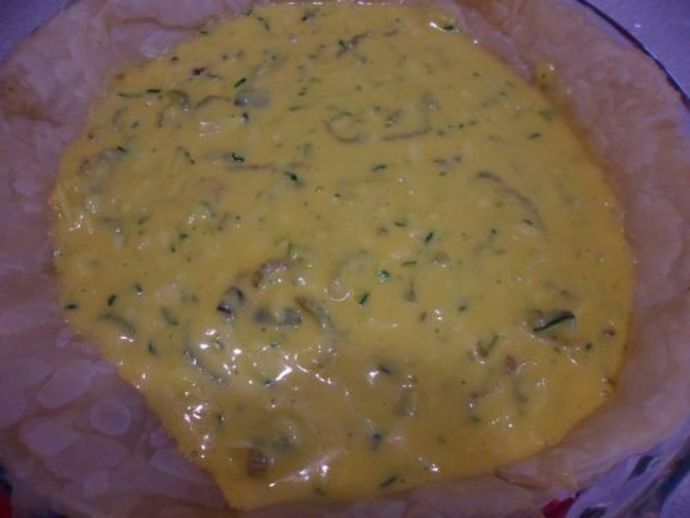 Bake for 30-40 minutes, or until a skewer comes out clean when poked into the quiche.